Medici is a name that has become somewhat notorious over the years. Immensely powerful, with banking, religion and politics second nature, the family’s reputation resonates even today and in the last few years members of the Medici clan have featured in film, literature and even computer games. 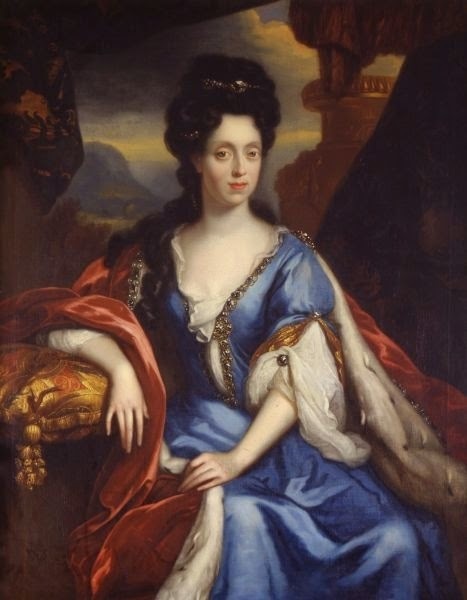 The royal line of the house of Medici became extinct on this day in 1743 with the death of Anna Maria Luisa de’ Medici, wife of Johann Wilhelm II, Elector Palatine, a marriage that remained childless. The cause of Anna Maria’s death has never been satisfactorily established and was, depending on who is telling the tale, a long and drawn out affair or a sudden, unexpected fever that culminated in an “oppression on the breast”. Upon hearing this last explanation when I first encountered Anna Maria many years ago, I assumed that the unfortunate lady must have succumbed to breast cancer but received wisdom for many years was that Anna Maria actually died as a result of syphilis, contracted from her own husband, who predeceased her by almost three decades. In the last years of her life, Anna Maria lived a secluded life devoted to amassing a collection of art and donating the vast majority of her fortune to charity. However, on 18th February, as wild winds raged in the skies above Tuscany, the Electress of Palatine died. Her remains were laid to rest in the crypt at the Basilica of San Lorenzo, a structure that she had financed and championed throughout her life and that she even remembered in her will. However, Anna Maria’s story does not end there and in 2012, Anna Maria’s remains were exhumed for research purposes. Samples of her bones were taken, in addition to a full 3D scan of the skeleton and the contents of the coffin. Subsequent studies on the biological materials recovered from the grave have not conclusively proved the cause of Anna Maria’s death, and to this day, it remains a mystery.